One small mistake in cath lab . . . A giant leap for man kind ! In any field , errors and mistakes transform into experience in retrospect. (Of course only if we realize our mistakes !) . Many would argue prevention of such errors is the only way to move forward in science , but ,the opposite could also be true. Some errors can be fatal but it helps us prevent further fatalities. Some errors create history and re-define the science. When Sones along with his assistant were trying to do an Aortogram in a patient with RHD, the entire dye meant for aorta went straight into the right coronary artery.When every one was stunned ,the patient happily survived the injection with a few skipped beats. The man behind this horrendous medical mistake was Mr . Sones . He was guilty for many days , spent many sleepless nights ( In spite of the patient surviving the episode ). In fact , he was much amused about the patient’s survival . At that point of time, even a spill over of dye into coronary artery was considered forbidden. He pondered over the incident for months . Had two queries lingering in his mind . How the right coronary artery was able to withstand the 40cc dye injected with force . If 40 m l was tolerated , well what about routinely injecting 3-5 ml for visualizing the coronary tree by intentionally seeking the coronary ostium . 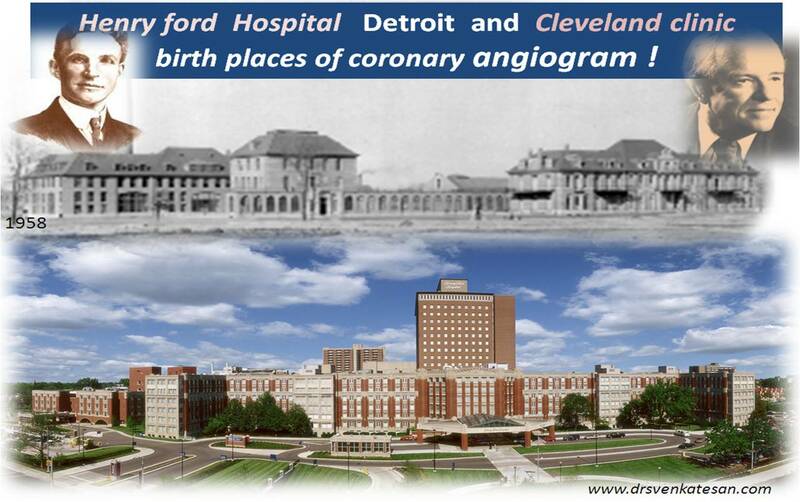 That was the moment , the concept of diagnostic coronary angiogram was born . He published his observation as an abstract in Circulation journal. 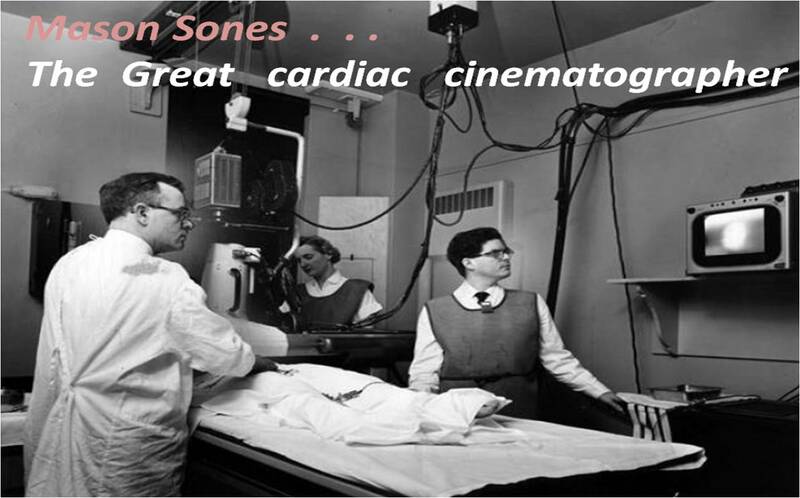 Later he did many experiments with video engineering at Kodak labs , X ray technology to improve the cine imaging .By 1964 , he devised a perfect protocol for doing selective coronary angiogram. Then along with Rene Favaloro he pioneered CABG surgery in USA. Cardiac catheterisation was invented by Forssman , Cournand , and Richards ,(Nobel prize 1956 ). It was Sones who took it into the coronary arteries and thus it was made possible for a whole new specialty of coronary diagnostics and therapeutic PCI which was conceptualized by another extraordinary human life called Gruentzig. Sones along with Gruentzig definitely deserve a Nobel in medicine which i think will happen soon ! 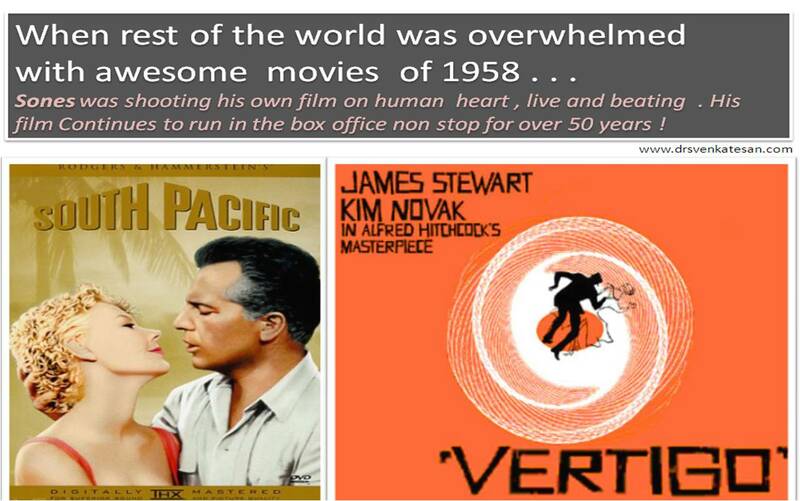 They lived a great life constantly thinking, innovating putting patients interest in the fore front . Mean while , I argue our youngsters to portray the images of these giants in every cath lab they work .You may get their blessings from heaven , provided you do your interventions with integrity and honesty without any conflict of interest in the patient care. Do not cry foul when some genuine errors happen in cath lab.Few among us (like Sones ) may innovate those mistakes into glory ! We are a French Medical Education Publisher. 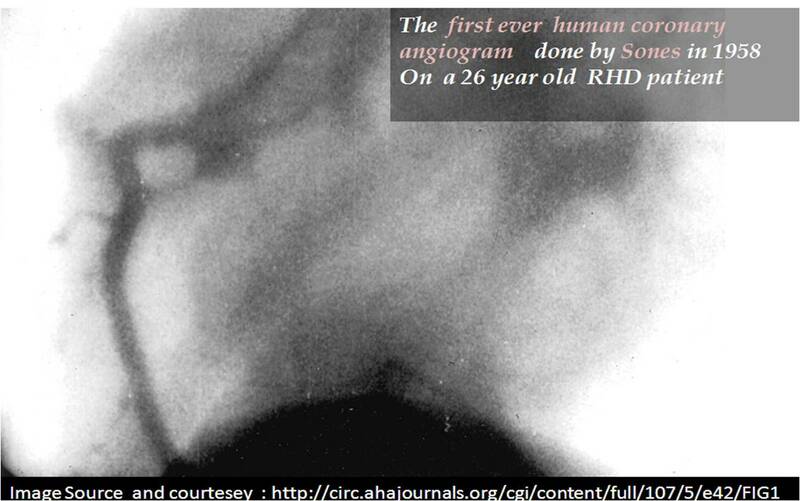 We request your permission to reproduce the picture of “Mason Sones studies catheter in heart area on TV screen, hooked to x-ray (february 21, 1958, in Cleveland” in to an english book that we are going to publish “Major advances in cardiology”. It will be distributed for free to european cardiologists (7000 issues). Thank you in advance for your answer as soon as possible.